Last year, I learned about the website iCaughtSanta.com. This site lets you create a picture of Santa in at your Christmas tree. The picture provides "evidence" of Santa's visit. Since my daughter's days of believing in Santa are waning (I am not sure that she even believes right now), I decided to make one. I left it near the tree for her to find Christmas morning. When she found it, her eyes lit up---she was so excited to have a picture of Santa at her tree! 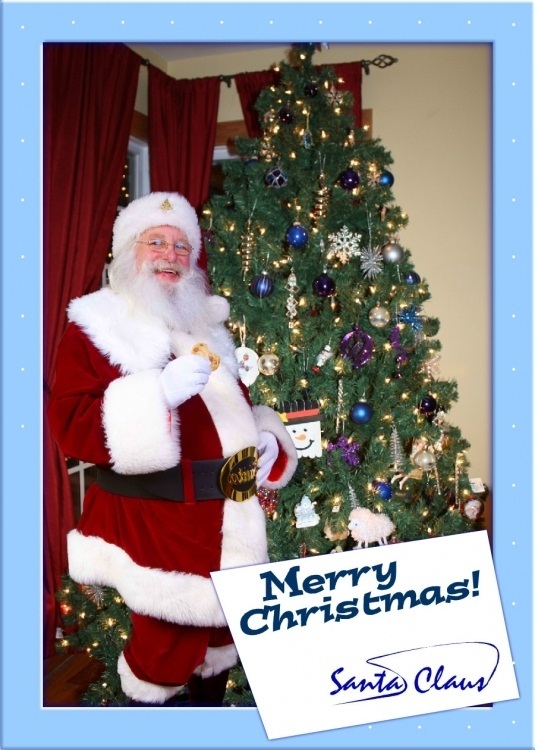 Well, this year I was asked to review iCaughtSanta.com and I will be able to give away five codes for free iCaughtSanta pictures! The pictures are really cute and I am sure that some kiddos will totally love them! iCaughtSanta.com is really easy to use. First, you take a picture of where you want your scene staged. Then, you upload it and choose a Santa that works with your picture. You can move the Santa around to fit in. You can also add a border and alter the brightness of the colors. Everything is easy to use! Once you are finished, you can print the photo or download it to your computer. No waiting for the photo to come in the mail! Pictures normally cost $9.99. However, our readers can create one for $7.50 at this link. iCaughtSanta also has a new option that includes Santa, the Tooth Fairy, and the Easter Bunny. **Disclosure: I received one or more of the products mentioned above for free using Tomoson.com. Regardless, I only recommend products or services I use personally and believe will be good for my readers. I would love to give it to me sons. I think they will get a kick out of it!